Explanation: A lovely starfield in the heroic northern constellation Perseus holds this famous pair of open or galactic star clusters, h and Chi Perseii. 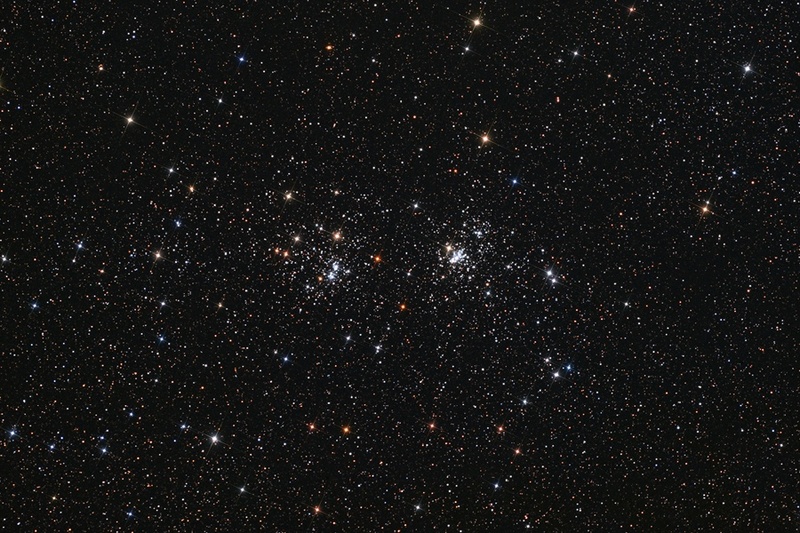 Also catalogued as NGC 869 (right) and NGC 884, both clusters are about 7,000 light-years away and contain stars much younger and hotter than the Sun. Separated by only a few hundred light-years, the clusters' ages based on their individual stars are similar - evidence that they were likely a product of the same star-forming region. 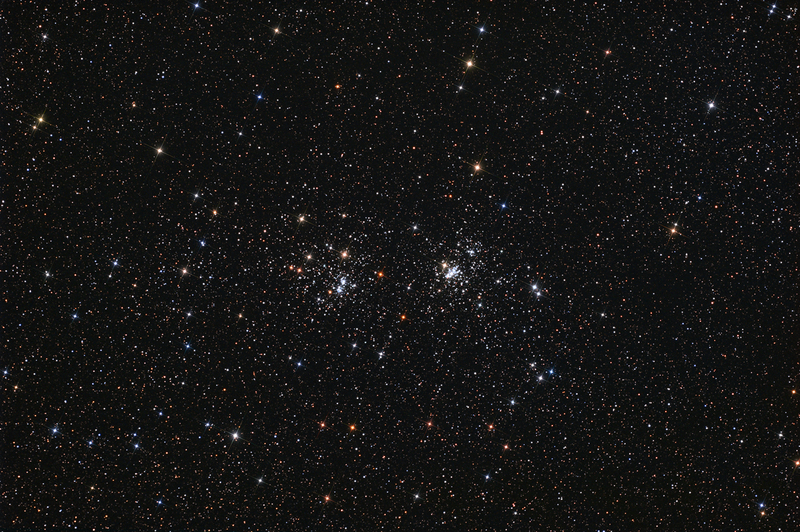 Always a rewarding sight in binoculars, the Double Cluster is even visible to the unaided eye from dark locations. Star colours (and spikes) are enhanced in this beautiful, wide field, telescopic image.